When Will Thailand's First China Submarine Arrive? In June 2015, the Royal Thai Navy (RTN) elected to buy three submarines from China in what would be one of the most expensive single acquisitions in the country’s history (See: “How Did China Just Win Thailand’s New Submarine Bid?”). However, since then, the proposed purchase has been repeatedly delayed, leaving observers to wonder if the country’s long-held dream of acquiring the capability may once again be deferred. But as I observed in a recent piece, indications are that we may be finally seeing progress on this front in 2017 (See: “When Are China’s Submarines Coming to Thailand?”). The RTN has released a reference price document detailing specifications about the purchase of the first of three submarines, paving the way for a government-to-government deal between Bangkok and Beijing later this year. The submarine purchase is also being linked to the RTN’s broader procurement plans, which is important for funding considerations. On January 24, Thailand’s Defense Minister Prawit Wongsuwan confirmed that the government had approved 13.5 billion baht ($383 million) in funding to support the RTN’s purchase of the first of the three submarines, with the total cost of the three boats being 36 billion baht ($1 billion). Local media outlets quoted Prawit as saying that the National Legislative Assembly (NLA) had already approved funding to buy the first vessel, which had been the understanding of close observers of the acquisition. Meanwhile, RTN spokesman Chumpon Lumpikanon told Reuters that though negotiations were still ongoing over things like the equipment to be installed on the submarine, “this year there will definitely be a signing agreement as we have the budget.” While Prawit indicated that Thailand’s cabinet would have to approve the final plan – previous plans have been floated but put on hold – Chumpon said that the plan was already in line with the regulations set forth by the Prime Minister’s Office. That suggests there are few remaining obstacles to a deal in 2017. Chumphon added that China would take six years to build the submarine, and the budget had been earmarked to pay for the submarine over those six years. If that is indeed the case, it would be in line with the previous estimates that the first submarine will likely be delivered to Thailand by the early 2020s. As I noted in a previous piece, while these specifics suggest that there continues to be political will to see this purchase through, for those familiar with Thailand’s decades-long quest for submarines, that also still leaves plenty of time for even more hiccups further down the line. Northrop Grumman has received a $22.7 million contract modification to provide engineering and design services for the U.S. Navy's Common Missile Compartment. The modification is the latest adjustment for the Common Missile Compartment project, a device slated for use aboard the Columbia-class submarines under development. The company received its last modification for the program in March 2016. Northrop Grumman's contract with the U.S. Navy includes options which, if exercised, have the potential to bring the total contract value to $198 million. Under the new modification, the company is tasked with providing additional technical engineering, design and development engineering, component and full-scale test and evaluation, and tactical underwater launch hardware production. According to the U.S. Department of Defense, the work will be performed at a number of locations including Sunnyvale, Calif.; Ridgecrest, Calif.; Cape Canaveral, Fla.; and others. The work is expected to be complete by September 2020. Northrop Grumman received all funding at the time of the modification award. The Strategic Systems Programs in Washington, D.C., is listed as the contracting activity. The Common Missile Compartment is being designed to hold the weapons to be used by Colombia-class submarines, formerly referred to as Ohio Replacement vessels. Once completed, the submarines will be armed with Trident D5 missiles. Earlier this month, Electric Boat President Jeff Geiger told a packed room of elected officials and regional stakeholders that the company is once again forecasting a strong year of hiring. The expectation is that the shipyards will need more than 1,300 new employees to keep up with attrition and to fill new positions that are a result of increased submarine construction. additional submarines to meet the threats posed by a resurgent Russia and an increasingly aggressive China. The same need for additional ships is true across our entire naval fleet. Between increased deployments and maintenance work that is struggling to keep pace, the simple truth is that we need a larger Navy to meet the demands of today and the future. That is why the Navy under the Obama Administration conducted a nearly year-long review to determine the requisite number of ships to meet these demands. The results, which were released last month, are good news for our region. Not only does the review recommend increasing the total number of ships from 308 to 355, it boosts the requirement for attack submarines from 48 to 66. Submarines were given a larger boost than any other part of our fleet, reflecting their unrivaled value in our nation’s defense. Even before these developments, Electric Boat was poised for significant growth. With the serial production of two Virginia-class submarines each year that was initiated during my first term, there are 15 new submarines under contract now with 11 in various stages of construction. In addition, the yard has been named as the prime contractor for the new Columbia-class ballistic missile submarines, the construction of which demand nearly two and a half times the workload of a Virginia-class submarine. Even with all of this good news, we should not forget that serious challenges lay ahead. We will need to protect the gains already made and work across partisan lines in Washington to secure the funding necessary to maintain strong build rates. This means ensuring the industrial base in Connecticut can provide the skilled labor both the shipyard and its suppliers will need to get the job done. We need an all-hands-on deck effort to ensure that we are training enough skilled workers from right here in Connecticut to fill these shipbuilding jobs over the next two decades. We are off to a great start. With the strong backing of former U.S. Labor Secretary Tom Perez, I helped secure $6 million in federal funding to start a manufacturing pipeline in eastern Connecticut. This highly successful initiative brings together workforce development leaders, community colleges, and employers from across the region to train workers for high-skilled, high-paying jobs at Electric Boat and its suppliers. Other efforts, such as using federal funding to restart a long-dormant union-led apprenticeship program at the yard to train existing workers, will further contribute to the goal of filling these jobs with local talent. While eastern Connecticut is up to the task, it remains to be seen whether similar domestic investments will be a priority for the new administration. I believe that many of my colleagues in Congress, on a bipartisan level, support a strong investment in our workforce development needs. I will work with them to sustain these critical programs. It is also important that we develop other ways to support our developmental programs on the state and regional level. While the nation will not know the exact details of the Navy’s new build-up plan for some time, one thing is clear; the ability of our shipyard to meet the workforce demands in the years ahead will make or break their plans. Eastern Connecticut has found a model that works. Moving forward, it is critical that we do all that we can to sustain it. The continued growth of our region’s economy and the ability to meet the demands of our nation depend on it. The Royal Thai Navy (RTN) recently secured USD $383.4 million for the first of three S26T air-independent propulsion submarines (SSP) it intends to procure from the China Shipbuilding Industry Corporation (CSIC), the Bangkok Post reports. As per the Bangkok Post: The funding was allocated in the national budget for 2017, which was approved by Thailand’s parliament. Upon approval from the cabinet, Thailand will order the submarine under a government-to-government deal. As the lead ship will absorb the required logistics, maintenance, training and weapon (munition?) costs, the unit costs of the remaining two S26Ts will be less than the first. The total cost of the S26T submarine program will be USD $1.02 billion. Thailand is seeking the S26Ts as part of its comprehensive naval modernization efforts, which also include the procurement of new surface warships, such as its recently launched 3,650-ton frigate. U.S. President Donald Trump said the United States needs more submarines but he wants to buy them at a lower cost, resuming his push to get defense contractors to cut the prices they charge the Pentagon. "We're lacking submarines and we're going to build new submarines but the price is too high so I'm cutting the prices way down," Trump said in an interview on Fox News to be broadcast later on Thursday. Two U.S.-based companies, General Dynamics Corp's Electric Boat division and Huntington Ingalls Industries' Newport News Shipbuilding, build the Navy's nuclear-powered submarines. Neither General Dynamics nor Huntington Ingalls immediately responded to a request for comment. "We are working hard to drive down cost and are seeing the fruits of that labor," a senior U.S. Navy official said in response to the Trump comments. "We have the most advanced submarines in the world - the more we buy, the more we will bring down the price," the official said. Trump, who took office on Friday, has vowed to build up the military, which he says has become dangerously depleted. Since winning the November election, he has pressured U.S. defense contractors to reduce the cost of the products they sell to the Pentagon. In December, Trump received a pledge from the chief executive of Lockheed Martin to cut the cost of the F-35 fighter jet after Trump complained in a tweet about the plane's price tag and said he would ask Boeing to offer a cheaper alternative. occasionally break a part of our routine by having healthy competitions between them. Sailors come out with a number of humorous anecdotes while they are serving which we occasionally broadcast for everybody to enjoy," said the Captain. Being a submariner is a dangerous business. A build-up of hydrogen and other gases in the battery pits can potentially be lethal. A small spark can trigger an explosion that can destroy the boat and weaponry - missiles, torpedoes and mines - have to be handled with kid gloves. Safety is the key buzzword here. These men won't talk about it, but they know how things can go disastrously wrong. 18 sailors were killed in an explosion in the weapons compartment of the INS Sindhurakshak in Mumbai in 2013, a submarine identical to this boat. A year later, two officers lost their lives on a sister submarine, INS Sindhuratna, while trying to put out a fire very close to the battery pit. The accidents prompted then Navy Chief Admiral DK Joshi to resign from service. Wary of China's increasing undersea prowess, India has committed to speeding up its plans to modernize its navy, especially since Beijing has made clear its determination to dominate the Indian Ocean, though which crucial oil and other imports are routed. India presently operates only a single nuclear-attack submarine leased from Russia in 2012. The INS Arihant , the country's first indigenously built nuclear submarine - loaded with nuclear-tipped missiles -has also completed lengthy trials in the Bay of Bengal. In addition to this, India operates 13 Russian and German-designed diesel-electric submarines. Six French-designed "Scorpene" class submarines are being assembled at Mumbai, but China, which has at least 12 nuclear-powered submarines either in service or under construction, is way ahead with another 56 conventional diesel-electric submarines, making it the world's second-largest operator of submarines behind America. BHUBANESWAR – The Defence Research and Development Organisation (DRDO) is readying for a fresh trial of its long range nuke-capable submarine-launched ballistic missile (SLBM) K-4 from an underwater platform in the last week of this month. If things go as per the programme, defence sources said the indigenously built most powerful underwater missile having a strike range of around 3,500 km will be test fired from a submerged pontoon, which is almost identical to a submarine, on January 31. Though the missile has been designed to be launched from a depth of 50 metres, this time the scientists are planning to fire it from the undersea platform nearly 20-30 metre deep in the Bay of Bengal. A defence official said while the preparation for the test is going on in full swing, tracking equipment has been moved in ships to be placed at test location and point of impact. Having a length of 12 metres and diameter of 1.3 metres, K-4 missile weighs around 17 tonne and is capable of carrying a warhead of around two tonne. Basically a ballistic missile, the K-4 combines the aspects of both cruise and ballistic missile, which use multiple-stage rockets to exit the atmosphere and re-enter in a parabolic trajectory. The country’s first indigenous nuclear submarine INS Arihant has already been inducted in the Indian Navy and this submarine will be equipped with the K-series missiles. Apart from the 700-km range K-15, renamed as B-05, which has been successfully test fired several times and K-4, India has one more missile in the series. SLBM K-5 having a striking capability of over 5,000 km is under development. All the K-series missiles are faster, lighter and stealthier. The missiles are far more difficult to tackle as they skulk clandestinely undersea and manoeuvrable thus minimising the chance to be shot down by the enemy. Apart from the K-series missiles, India has the submarine version of BrahMos supersonic cruise missile in its arsenal to boost its second-strike capabilities. The DRDO is also developing the air version of K-series missiles which can be fitted with fighter aircraft. The DRDO is expecting a successful trial of the missile as it would strengthen the country’s position in the exclusive club of six nations including Russia, USA, France, Britain and China which have the capability of firing missiles from air, land and undersea. The Royal Navy’s Submarine Service has unveiled an official tartan to celebrate its century-old links with Scotland. Woven exclusively by House of Edgar in Perth, the tartan has been designed to represent life inside a submarine and is available to all submariners, both serving and retired. The Scottish patchwork has been commissioned ahead of HM Naval Base Clyde at Faslane, Helensburgh, Argyll and Bute, becoming the UK’s single-integrated submarine operating base from 2020. All of the UK’s submarines are to be based in Scotland, with the workforce at the base increasing to 8,500 by 2022. Rear Admiral John Weale, head of the Submarine Service, said: “Scotland and the Submarine Service have benefited from each other for over a century. The Russian Navy’s fleet of Project 885-M Yasen M-class nuclear-powered multipurpose attack submarines is slowly but steadily starting to take shape with the fourth boat of the class, the Krasnoyarsk, recently completing crucial hydraulic tests of its pressure hull, according to local media reports. “A major construction stage — the hydraulic tests of the strong hull and its elements — has been completed on the nuclear submarine Krasnoyarsk,” the Sevmash Shipyard, the submarine’s manufacturer told TASS News Agency in a press release on January 23. “The submarine has successfully passed the tightness test and its hull has withstood the characteristics laid out by the designer. Further planned work is ongoing to prepare the hull for insulation and assembly works,” the statement continues. The hull of the boat is built with low magnetic steel to reduce its magnetic signature. There are currently five Yasen M-class submarines under construction at the Sevmash Shipyard, located in Severodvinsk in Northern Russia. As of January 2017, only one Yasen-class sub, the K-329 Severodvinsk, has entered service with the Russian Navy. The Severodvinsk, laid down in 1993, features an older design than the improved Yasen M-class boats, and has been undergoing sea trials since 2011. It is unclear whether the submarine is operational or not, although it reportedly completed its first mission in August 2016. Russia’s shipbuilding industry will complete more than two additional Yasen M-class boats by 2020 due to budgetary constraints — the subs are among the most expensive pieces of military hardware ever built by Russia. The 13,800-ton, 390-foot long and highly automated Yasen-class of Russian attack submarines was supposed to replace older Soviet-era multi-purpose nuclear submarine models by 2020. Yet, the exorbitant costs of the submarines — estimated to be twice as much as the new Borei-class SSBNs – has so far led only to the commissioning of one out of eight SSGNs, with a further three to four vessels to be completed by 2020. One of the reasons for the excessive costs is untried new technology installed aboard the Yasen M-class. For example, Yasen boats are allegedly equipped with a new spherical sonar, dubbed MGK-600 Irtysh-Amfora and a new fourth-generation nuclear reactor, which reportedly provides a maximum underwater speed of 35 knots and a surface speed of 20 knots. Once in service, Yasen M-class attack submarines will be fitted with a host of different weapons systems including cruise missiles such as the 3M-54 Kalibr supersonic cruise missile available in land-attack, anti-ship, and anti-submarine variants, and a new deep-water torpedo, an improved variant of the 533-milimeter Fizik-1 homing torpedo (See: “Russia’s Deadliest Subs to Receive New Heat-Seeking Torpedos”). Given the submarines’ armament in combination with the fact that the Yasen M-class will be one of the quietest submarine classes ever to serve in the Russian Navy, it is likely that they will deployed as Russia’s premier carrier killer subs in the near future. Vietnam has received its sixth attack submarine from Russia amid rising Chinese assertiveness in the South China Sea, state-controlled media reported Friday. The submarine, a new diesel electric Kilo class model named HQ-187 Ba Ria-Vung Tau, arrived at the Cam Ranh port in southern Vietnam's Khanh Hoa province Friday morning and is expected to be officially received by the Vietnamese navy on Monday, the VN Express news site reported. It will join the navy's five other Kilo class submarines, which are newly manufactured models nicknamed the "black hole" by the US Navy due to their advanced stealth capabilities. With a maximum depth of 300 meters, the HQ-187 can stay at sea for 45 days without refueling and can sink or cripple larger vessels with its anti-ship weaponry. The submarine, which was initially ordered along with the five others in 2009 at a cost of 2.1 billion dollars, arrives as tensions simmer in the South China Sea. China, which claims almost all the sea including areas claimed by Vietnam, has reportedly sent advanced weapons to islands under its control while the US Navy regularly sends patrols to the region. With the order from Russia fulfilled, Vietnam's military has completed one of its most ambitious modernization efforts as it gains firepower for a potential future war against China. PARIS-- French weapons sales hit a record high of more than 20 billion euros ($21.33 billion) in 2016 after submarine contracts in Australia and fighter jet sales to India, France's defense minister said. "In 2015, we hit our historical exports figure of 17 billion euros," Jean-Yves Le Drian said in a New Year's speech to defense officials late on Thursday. "For 2016, the total is not yet tallied, but I can say that thanks to the Australia contract, we have reached a new summit with more than 20 billion euros in sales." Australia and France formally sealed an agreement on December under which French naval contractor DCNS will build a new fleet of 12 submarines a deal that could ultimately be worth $38 billion. Paris also completed a deal for the sale of 36 high-end Rafale fighter planes from Dassault worth about $9 billion. The Royal Thai Navy (RTN) is preparing for the arrival of its first S26T submarine from China through the use of a Submarine Command Team Trainer (SCTT) simulator, which replicates a combat information center (CIC) and submarine environment. In 2012 the RTN bought the SCTT simulator from Rheinmetall. Delivered in 2014 and now operating at Sattahip Naval Base, it simulates generic systems and capabilities of diesel-electric submarines, rather than a specific individual class. The SCTT is flexible; it is scalable from operator training in individual sensors and systems to command team training for operational units. Thailand’s system replicates every important component of a submarine’s CIC, including combat management systems, heavy torpedoes, missiles, sonar systems and non-acoustic sensors (e.g. radar, data links, electronic support measures and periscope). Thailand will receive three S26T submarines from China, the RTN’s first since four 470t Mitsubishi submarines were bought from Japan in 1938. Last year, the RTN selected the S26T ahead of offers from Germany, South Korea and Sweden. The RTN is now in the process of buying one submarine with a budget of $385 million as it creates a three-dimensional navy to more effectively maintain maritime security. The Royal Thai Submarine Squadron was re-established in 2011 amidst plans to acquire new submarines. Thailand was responding to other southeast Asian nations such as Indonesia, Malaysia, Singapore and Vietnam that were all acquiring submarines. The SCTT simulator can integrate with an anti-submarine simulator also in service with the RTN. The navy sent submarine personnel to learn from relevant technologies in Germany, in addition sailors completed the International Diesel Submarine course in South Korea to learn the capabilities and tactics of modern diesel-electric submarines. Bangladesh acquired the Chinese submarines in a 2013 deal valued at $203 million. Unable to afford more advanced Chinese Yuan– and Russian Kilo-class vessels, Dhaka opted for the Type 035B’s at a discount. The 1970s-era submarines were primarily used by China as training vessels in the 1990s and “were considered not to be successful,” though they’ve subsequently been outfitted with more advanced torpedoes and sonar. On the surface the deal wasn’t particularly novel. Unlike India’s better-sheltered neighbors, Bangladesh has enjoyed strong ties with Beijing for decades. In 2005, China overtook India as the country’s top trading partner while Bangladesh accounted for 96 percent of the more than $1 billion in remittances China received from South Asia in 2014. A 2015 Pew survey showed 77 percent of Bangladeshis polled with a favorable view of China. Arguably the most robust area of cooperation has been defense trade. Between 2011 and 2015 Bangladesh was the second-largest recipient of Chinese arms in the world (following Pakistan), with Beijing supplying over 80 percent of its arms imports over the past decade. In late 2015, Bangladesh took delivery of two Durjoy-class large patrol craft, scaled-down versions of China’s Type 056 corvette. Two more are under construction in China, which has pledged to help build up an additional four in Bangladesh. Yet, there are two reasons the submarine sale stands out. First, after decades of operating as a localized force largely limited to the Western Pacific, the People’s Liberation Army Navy (PLAN) has begun spreading its wings in the Indian Ocean. In January 2016, a Bangladesh official told Reuters “Bangladesh has never hosted a naval ship from China and has no plans to.” Weeks later, two Chinese guided-missile frigates and a supply ship docked at Chittagong before conducting drills with the Bangladesh Navy. In just the past five years, Chinese nuclear and conventional submarines began their first regular patrols of the Indian Ocean. Their relevance to the PLAN’s rotating anti-piracy deployment in Indian Ocean, begun in 2008, has been questioned by Delhi, as has their peculiar schedule of port calls. as evidenced by his signature “Neighborhood First” policy. Amid reports Beijing has offered to train Bangladesh submarine crews at its base on Hainan Island, last week we learned Delhi is trying to persuade Dhaka to instead send them to its premier submarine academy at Visakhapatnam. In a sign of the growing importance Delhi attaches to bilateral relations, Prime Minister Modi, Home Minister Rajnath Singh, and Defense Minister Manohar Parrikar traveled to Bangladesh in 2015 in 2016. The exchanges were required to keep pace with Beijing, which welcomed Bangladesh’s prime minister and president in 2015. More significantly, in October 2016 President Xi Jinping became the first Chinese leader in 30 years to visit Bangladesh. A number of enclaves also hosted counterenclaves within their boundaries—in essence, a pocket of Indian land, surrounded by Bangladeshi territory, situated within India proper. There was even one case of an Indian counter-counterenclave. A year earlier, Delhi and Dhaka put another longstanding dispute to rest when a UN Tribunal issued a decision delimiting their disputed maritime boundary. The Tribunal awarded Bangladesh roughly 19,500 of 25,500 square kilometers under dispute. India quietly accepted the ruling, a sharp contrast to China’s acerbic rejection of a July 2016 UNCLOS Tribunal decision in favor of the Philippines. Sonar experts at Lockheed Martin Corp. will provide the U.S. Navy with advanced sonar systems and sonar signal processing for fixed-site and submarine-based anti-submarine warfare (ASW) and surveillance under terms of a $120.9 million order. Officials of the Naval Sea Systems Command in Washington are asking the Lockheed Martin Rotary and Mission Systems segment in Manassas, Va., for work involving the Acoustics-Rapid COTS Insertion (A-RCI) technical insertion (TI) 16 program, as well as for the Integrated Undersea Surveillance System (IUSS). A-RCI TI 16 seeks to provide vast improvements in acoustic sensing aboard U.S. fast-attack, cruise-missile, and ballistic-missile submarines without changing the sonar transducer sensors through the rapid insertion of commercial off-the-shelf (COTS)-based digital signal processing hardware and software. By sharply upgrading ship sensor processing, A-RCI TI 16 will integrate improve submarine towed-array, hull-array and sphere-array sonar sensors arrays. The IUSS, meanwhile, is a large-area ocean basin surveillance system to track surface ships and submarines over large swaths of the world's oceans. It provides the Navy with submarine detection, identification, and classification. The IUSS consists of fixed fields of hydrophones and sonar sensors such as the Sound Surveillance System (SOSUS) and Fixed Distributed System (FDS); the Advanced Deployable System (ADS) relocatable sonar sensor field; the Surveillance Towed-Array Sensor System (SURTASS) aboard long-endurance surveillance ships; and the Surveillance Direction System (SDS) that provides command, control, communications, and data fusion to combine the capabilities of SOSUS, FDS, and SURTASS. On this order Lockheed Martin will do the work in Manassas, Va., and Clearwater, Fla., and should be finished by December 2017. TAIPEI, Taiwan-- The R.O.C. Navy on Wednesday treated local media to a rare tour of the interior of the one of nation's World War II-era submarines, as it staged a pre-Lunar New Year drill at Zuoying Naval Base in Kaohsiung. The press was shown the fruits of the Navy's efforts to keep the U.S.-built Guppy-class Hai Pao or Seal, in seaworthy condition. The submarine is one of two Guppy-class submarines Taiwan has in active service. Hai Pao was built by the U.S. in WWII, and modernized to Guppy II class in 1949 before being transferred to Taiwan in the early 1970s. Although no longer combat-ready, the submarine still plays a vital role as a training ship for the Navy's rookie submariners. The Navy also has two Dutch submarines built in the 1980s. Taiwan has been asking the U.S. to sell diesel-powered submarines for more than a decade in the hope of replacing the Dutch subs. In 2001, the administration of U.S. President George W. Bush offered to provide eight diesel-electric submarines. However, so far, no significant progress has been made on the purchase of the vessels. In the interim, the R.O.C. military launched a program to build an indigenous submarine, with the Navy saying the construction of the first locally-built vessel could be completed by 2024. Defense Minister Feng Shih-kuan reiterated Taiwan military's stance Friday that the circumnavigation earlier this month of Taiwan island by the Chinese aircraft carrier Liaoning "starkly demonstrates the importance of continuing with the indigenous submarine program." Meanwhile, the Navy also staged an assault landing exercise, during which AAV7 amphibious assault vehicles and Newport-class tank landing ship Chung Ping skippered by Captain Yu Yi-lien, the Navy's first female captain — were deployed to test Navy's combat readiness. The drill, an annual event opened to media, was held ahead of six-day Lunar New Year holiday, set to run from Jan. 27 to Feb. 1. The army and the air force held similar drills a day earlier to demonstrate their combat readiness. Admiral Harry Harris, the United States Pacific Command (USPACOM) chief, admits “there is probably nothing that could prevent China from sailing an aircraft carrier into the Indian Ocean today”. The four-star admiral who, from his headquarters in Hawaii, heads the military component of America’s “rebalance to Asia”, dismisses China’s lone aircraft carrier, the Liaoning, as far less capable than an American carrier. He says even the Indian Navy, which operates INS Vikramaditya, is more capable and experienced than the Chinese at carrier deck aviation. Yet, China’s growing strength and aggression are clearly driving the US and Indian navies together. A key indicator is Harris’ admission --- the first time ever --- that the two navies are jointly tracking Chinese naval movements in the Indian Ocean. To build up Indian capability to track submarines, Washington had cleared the sale of Boeing P-8I Poseidon multi-mission maritime aircraft --- the world’s most fearsome submarine hunters. “We work closely with India to improve India’s capability to do that kind of surveillance… I don’t want to say too much, but there is sharing of information regarding Chinese maritime movements in the Indian Ocean”, admits Harris, who refers to Chinese submarines in these waters as “clearly an issue”. Anti-submarine operations are extensively practiced in the Malabar trilateral exercise, which the US, Indian and Japanese navies conduct every year. “That helps us hone our ability to do that physical tracking of submarines and ships and the likes”, explains Harris. The American admiral says that India’s non-signature of a communications security agreement called COMCASA (Communications Compatibility And Security Agreement) is hampering joint surveillance of Chinese vessels. One of three pacts that Washington terms “foundational agreements” for defence cooperation, India’s signing of COMCASA would open the doors for Washington to transfer high-security communications equipment to the Indian military. “For example with the P-8 aircraft, we’ll be able to do more interoperable activities. The P8 is the world’s most capable anti-submarine platform. India has the P8I, we have the P8A, but they’re not interoperable because they have different communications systems. In order to maximize the potential of these airplanes in the Indian Ocean against [Chinese] submarines, we need to move this agreement forward so that we can have communications interoperability and make it actually happen”, explained Harris. In New Delhi to speak at the annual Raisina Dialogue, Harris was interacting with a small group of journalists. Last year, the two countries signed a logistics agreement, called LEMOA (Logistics Exchange Memorandum of Agreement) that allows both militaries to access each other’s facilities, with accounts to be settled later. Now COMCASA is being negotiated between Washington and New Delhi; as is a third agreement called BECA (Basic Exchange and Cooperation Agreement for Geospatial Information and Services Cooperation), which facilitates mapping. know if we’re going to change the name but the military component of the rebalance…that has already happened. Harris, ethnically a Japanese American and the first Asian American to become admiral, is particularly disliked by Beijing for his forthright confrontation of China. At last year’s Raisina Dialogue, Harris irritated Beijing by calling upon India to cooperate closely with the US Navy in the South China Sea; and to expand the ongoing trilateral defence cooperation (with the US and Japan) into a quadrilateral dialogue that included Australia. Plans for a museum to showcase the H.L. Hunley have been in the works since shortly after the Civil War submarine was pulled from sand and silt just outside the Charleston Harbor more than a decade ago. But much remains unclear about the museum, including when construction will begin, how large its building will be and where the money will come from to pay for it. The former Hunley Commission decided in 2004 to build a $40 million museum on the former Navy Base in North Charleston. It chose that location over other proposed sites in downtown Charleston and Mount Pleasant. 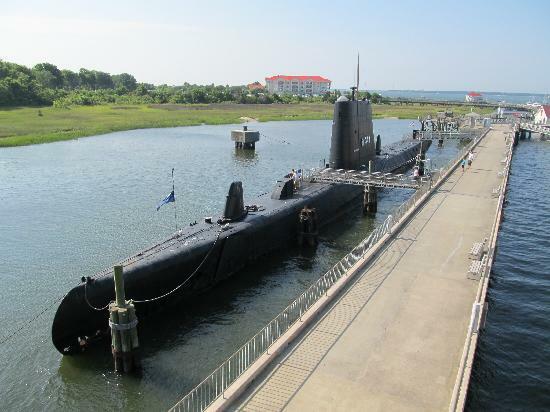 The city of North Charleston landed the deal with a pledge to donate the land on which the museum will be built, contribute $13 million to construction and $50,000 annually to restoring the submarine. The commission since has been folded into the Charleston Naval Complex Redevelopment Authority/Naval Base Museum Authority. Little has happened since the decision was made to build the museum on the former Navy Base. Robert Ryan, the authority's executive director, said the plan for the museum right now is "kind of a rudderless ship on a balmy sea." North Charleston Mayor Keith Summey said the city no longer can contribute $13 million. That plan was based on the city's ability to raise the money from a tax-increment financing district on the city's land on the base. But the state took that land, Summey said, so the city no longer can come up with the money. Right now, the authority has $20 million to $25 million on hand that isn't already committed and could be used for the museum if the authority approves the expense, Ryan said. "That's halfway there." But he said the city hasn't turned over land to the authority on which to build the museum. Summey said land on the base north of Noisette Creek now belongs to Palmetto Railways, a division of the state Commerce Department. He expects the land to be turned over to the city at the end of the year. The city then will turn over a parcel to the authority for the museum. Ryan said he's not sure how the museum plan ultimately will turn out, adding, "It might not be a $40 million museum." Kellen Correia, president of Friends of Hunley, said it will take five or six more years to restore the submarine. That work is being done by Clemson University's Restoration Institute in the Warren Lasch Conservation Center on the former Navy Base. That means there's time to raise money for the museum, she said, adding that the museum isn't just for the Hunley. It will be a building that also houses the state-owned Maritime Museum Collection, an extensive collection of more than 8,000 19th century maritime artifacts. grants and ask for donations if there's a funding shortfall, he said. Burbage, who was a member of the former Hunley Commission, said the Hunley is a popular attraction now, and will continue to be in the future. Hundreds of people come to see it every weekend, even though it's soaking a large tank of sodium hydroxide. Correia said nobody is sure yet how the Hunley will be displayed after the conservation work is complete. It might have to continue to sit in a tank of sodium hydroxide, or might be protected in some other climate-controlled way. "You're not going to be able to walk up and put your hands on the Hunley," she said. The replacement for the Collins-class fleet sub will be "an orphan" on arrival, according to Hans Ohff. SYDNEY -- The concept behind the Shortfin Barracuda Block 1A submarine selected to replace Australia's Collins-class fleet has been criticized by the person who was responsible for the construction of the Collins-class boats. managing director between 1993 to 2002 of what was then the Australian Submarine Corporation (ASC). Writing on 16 January on The Strategist, the commentary and analysis site of the Australian Strategic Policy Institute (ASPI), Ohff said that the RAN would own a submarine that would be expensive to build, maintain, and operate. "It will be a class that has no equals; sadly for all the wrong reasons." The government in Canberra announced in April 2016 that DCNS had defeated Japanese and German bids to design and construct 12 next-generation replacements for the RAN's six Collins-class submarines. The design proposed by DCNS was selected to meet Australia's Future Submarine requirement under the SEA1000 program. Notwithstanding Australia's considerable capabilities in naval construction, Ohff said he remained doubtful that a long-range diesel-electric submarine with a 5,100-tonne submerged displacement could be designed and built locally. He also wrote he was not convinced that such a class would be more lethal than smaller long-range classes, noting that the Defense Science and Technology Group within Australia's Department of Defense (DoD) had argued in a recent report that as the size and power of a submarine increased, gains made in range, speed, and endurance eventually diminished. Moreover, Ohff wrote that an "inexcusable blunder" by defense planners was behind the decision to procure a submarine that would not have air-independent propulsion and was based on lead-acid rather than the lithium-ion technology that would eliminate the dangerous process of hydrogen venting. The Royal Malaysian Navy (RMN) is in the midst of finalizing three permanent submarine exercise areas within Malaysian territorial waters in the South China Sea, a senior service official disclosed on 17 January. The demarcations, which will be known as the Malaysia Submarine Exercise Area (MSEA) 1, 2, and 3 respectively, are being established as part of the country's efforts to enhance submarine operating safety in the region, said Rear Admiral Abdul Rahman Ayub, Submarine Force Commander of the RMN. The Navy wants a 355-ship fleet. Can US shipyards build it? Yes, they can, the Navy leaders are insisting. But, the Chief of Naval Operations warned this morning, to keep production swift and steady, we should be careful about replacing existing designs — including the Littoral Combat Ship — with all-new warships as proposed by the Senate Armed Services chairman, John McCain. McCain, a former Navy pilot, also renewed his call for smaller aircraft carriers — perhaps derived from existing “big deck” amphibious assault ships like the America — that could more affordably supplement the nuclear-powered Nimitz and Ford classes. Here Richardson seemed somewhat more receptive: “We need to look at this… ‘high/low mix,'” he told the Defense One audience. “If you think about the introduction of the (F-35B variant of the Joint Strike Fighter) onto our amphib force, that might be systemically the way to get after this.” Note, however, that Richardson is talking about a new role for existing classes of ship. McCain wanted to replace big-deck amphib production with a new design for a mid-size carrier. Of course, the details are where the devil lies. And while Richardson made clear he shared McCain’s desire for a more responsive, innovative military — “we’ve got to acquire things faster to compete in time,” the CNO said — he and other Navy leaders have made clear their preference to innovate through incremental upgrades to existing ship types, not by replacing proven designs. “We need to be constantly looking at new approaches, new technologies, maybe even new ship classes, but as we do so, we don’t have the luxury to sort of stop,” Richards told the Defense One audience. (Emphasis ours). Any new design would need to be developed “in stride” alongside ongoing production of existing types, he said, then “feather(ed) in” to ensure continuous production without a gap between classes. Building stable designs with active production lines is central to the Navy’s plan to grow to 355 ships. “if you look at the 355-ship number, and you study the ship classes (desired), the big surge is in attack submarines and large surface combatants, which today are DDG-51 (destroyers),” the Assistant Secretary of the Navy, Sean Stackley, told reporters at last week’s Surface Navy Association conference. Those programs have proven themselves reliable performers both at sea and in the shipyards. The Ohio Replacement Program — the Columbia-class nuclear missile submarine to replace the aging Ohio class — is a huge, expensive question mark on the Navy’s horizon. But even there, designers are striving to make the new submarine, as much as possible, into a plus-sized version of the proven Virginia attack sub. As for the Virginias themselves, the Navy is upgrading the missile tubes and will even extend the length of future hulls, but otherwise it won’t mess with the design, which builders Electric Boat and Newport News are collectively churning out at a rate of two per year. (McCain wants to double sub production to four a year, counting Columbias). Meanwhile shipyards Bath Iron Works and Ingalls are together building two a year of the Navy’s workhorse surface warship, the DDG-51 Arleigh Burke destroyer. DDG-51 production was actually halted and then restarted after its intended replacement, the super-high-tech DDG-1000 Zumwalt class, ran aground on cost and was cut to just three ships. There are no plans to build more Zumwalts, Richardson reaffirmed today. Instead, the Navy’s future destroyer fleet will be comprised of upgraded Arleigh Burkes, a “Flight III” evolution of the current design that boasts a more powerful radar and the electrical systems to support it. (The Arleigh Burke itself began as a new hull for the Aegis combat system on the Ticonderoga cruisers, which used the hull from the older Spruance destroyers). It’s not just destroyers: “Across the PEO (Program Executive Office) Shipbuilding portfolio, the designs are stable,” PEO-Ships chief Rear Adm. William Gallinis told the recent Surface Navy Association. That includes the Navy’s new mid-sized amphibious ship, the L(X)R class, which will be a simplified, less expensive version of its standard San Antonio LPDs. In big-deck amphibs, the Navy is actively going back to the past — and away from McCain’s vision of mini-carriers. The USS America (LHA-6) and Tripoli (LHA-7) will be the only big-decks built that sacrifice the well deck — crucial to operating landing craft — for more aviation capacity: The future LHA-8 and subsequent ships will restore the well deck. (And even the LHA-6 is a linear evolution of the older LHD class). At this point, in fact, the Navy is only introducing one new class of warship: The Ford-class aircraft carrier, which McCain has blasted for $2 billion in overruns and months in delays. While the Ford has the same outer hull as the 1960s-vintage Nimitz, it has several revolutionary new systems inside, which have repeatedly struggled in testing. Last week, the Navy announced that testing would finally be finished and the Ford delivered to the fleet in April. To save cost and complexity, future Ford-class carriers will shed some of the high-tech systems, notably the radar. Then there’s the Littoral Combat Ship, actually two very different designs of small, light, high-speed warship: the Lockheed-Marinette Freedom class and the Austal Independence. After horrific early overruns, caused largely by major Navy design changes halfway through building the first ships, the Navy and shipbuilders finally have a handle on LCS costs. (The ship itself is still well above the original targets, but the “mission modules” that compromise most of its combat equipment have gone down). After the initial turbulence, a multi-year block-buy contract has “brought a tremendous amount of stability into the program,” the LCS program manager, Rear Adm. John Neagley, told the Surface Navy Association, (and) “both variants have now deployed to Singapore,” giving them real-world operational experience. Future efforts focus on incremental upgrades to the current LCS designs — adding a long-range anti-ship missile and, ultimately, reconfiguring them as beefed-up frigates — rather than developing a new clean-sheet small-ship design. The program is also struggling to solve mechanical and electrical troubles that continue to plague both variants, 10 and eight years after the first two LCS were launched. With new ships like these, it’s no wonder that the Navy wants to stick with time-tested designs. Continuous production is essential. “By virtue of maintaining these hot production lines frankly over the last eight years, our facilities are in pretty good shape,” Stackley emphasized to reporters. “In fact, if you talk to industry they’d say we are under-utilizing the facilities that we have.” Increased production will require new investments in specialized tooling, the workforce, and supply chains, he said, but it’s all entirely achievable. TAIPEI -- China's recent move to sail an air carrier near Taiwan has highlighted the need for Taiwan to go ahead with a plan to build its own submarines, Defense Minister Feng Shih-kuan said Friday. The indigenous submarine project will not only protect the country's territorial security but also allow Taiwan to contribute to regional security, Feng said while addressing the opening of an exhibition on the history of the Navy's submarine fleet. In what was seen by many as sabre-rattling on the Chinese side, the Liaoning, China's first aircraft carrier, sailed south in the Pacific Ocean off Taiwan's eastern coast on Christmas Day before entering the South China Sea. On Jan. 11, the Liaoning passed through the Taiwan Strait on its way back to its base in northeastern China after conducting training exercises in the South China Sea. The last time the aircraft carrier transited the Taiwan Strait was in November 2013. Also during the opening ceremony, Feng told reporters that his ministry made public, related information to notify the public on the Liaoning's movements, but stressed that "no special situations" were detected. The submarine carries 24 Trident II D-5 ballistic missiles, capable of devastating an entire continent. In a show of force, United States sends a Ballistic Missile Submarine, USS Pennsylvania, to Guam. It marked the first time since 1988 that a submarine with ballistic missile capability visited the region. The Navy said that Ballistic missile submarines such as ‘USS Pennsylvania’ are on patrol continuously, providing a critical, stabilizing and highly effective element of the US nuclear deterrence force, this specific visit to Guam reflects the United States’ commitment to its allies in the Indo-Asia-Pacific and complements the many exercises, training, operations, and other military cooperation activities conducted between the US and its partner nations. USS Pennsylvania is one of the 14 Ohio-class ballistic missiles submarines. It carries 24 Trident II D-5 ballistic missiles, capable of devastating an entire continent. The nuclear warhead on this submarine alone are more destructive than all the bombs dropped in both World War combined. She is the biggest submarine in the US Navy and the most lethal weapon ever designed. The visit comes as military tensions are high both with North Korea over its nuclear program, and China, over its moves in the South China Sea. Both Japanese and South Korean delegations in Guam will be offered rare tours of the submarine. Lockheed Martin is testing its air-launched, anti-ship cruise missile for the U.S. Navy’s future fleet of frigates and submarines, company officials told USNI News on Wednesday. Originally developed by DARPA to quickly field a need U.S. Pacific Command for a modern air-launched weapon, the Long Range Anti-Ship Missile (LRASM) program has now been absorbed by the Navy and will be fielded by the Air Force Boeing B-1B Lancer bombers and the Boeing F/A-18E/F Super Hornet in the next few years, Scott Callaway, LRASM Surface-Launch director, told USNI News on Wednesday during the Surface Navy Association 2017 symposium. Now the company is positioning the weapon – based on the AGM-158 JASSM-ER air to surface missile – to be Lockheed’s submission for the Navy’s over-the-horizon missile for the emerging frigate design. “While the Navy has been maturing that air-launched version and getting it ready for production, we’ve been investing in the surface-launched variant to mature that product,” Callaway said. Following three launch tests from MK-41 Vertical Launch Systems last year, the company will move ahead with tests this year of a standalone launcher that will be the basis for the OTH missile for the frigate that will follow on the Littoral Combat Ship. The OTH missile will be the first new surface launched anti-ship missile for the service in decades. It will be the follow-on to the RGM-84 Harpoon anti-ship missile — which was introduced to the service in the 1970s. A Raytheon-Kongsberg team is set to pitch the Naval Strike Missile and Boeing is set to offer a modified Harpoon for the competition. In addition to the OTH contest, Lockheed is also set to test a sub-launched variant of LRASM. “We’ve developed a capsule that will fit into the Virginia payload tube,” Callaway said. U.S. subs previously fielded a sub-launched version of the Harpoon – the UGM-84. However, the sub force has not fielded the Harpoon for several years. Lockheed intends to test a proof of concept for its sub-launched LRASM sometime this year. PAKISTAN-- Pakistan’s ministry of defense confirmed on January 9 that it has successfully test fired its nuclear-capable submarine launched cruise missile (SLCM). The missile features terrain hugging and sea skimming flight capabilities to evade hostile radars and air defenses, in addition to certain stealth technologies, in an emerging regional Ballistic Missile Defense (BMD) environment, the statement said. CHINA-- It's stealthier; with a range long enough to attack the United States from Chinese waters. New photos of China's latest nuclear ballistic missile submarine, the "Jin" Type 094A, hints at a much-improved vessel—one that is larger, with a more pronounced "hump" rear of the sail that lets it carry 12 submarine-launched ballistic missiles. First seen in late November 2016, the Type 094A differs from the previous four Type 094 SSBNs, what with its curved conning tower and front base that's blended into the submarine hull, possibly to reduce hydrodynamic drag. The Type 094A's conning tower has also removed its windows. Additionally, the Type 094A has a retractable towed array sonar (TAS) mounted on the top of its upper tailfin, which would make it easier for the craft to "listen" for threats and avoid them. While the original Type 094 is considered to be nosier (and thus less survivable) than its American counterpart (known, by the way, as the Ohio SSBN), the Type 094A is likely to include acoustic quieting technologies found on the Type 093A. More importantly, the Type 094A carries a new submarine-launched ballistic missile (speculated to be the JL-2A), which has a 11,200-kilometer range—a significant improvement from its predecessor missiles. Provided the JL-2A has this kind of range, the new missile could reach virtually the entire United States without leaving the heavily defended Yulin Naval Base (itself complete with underground shelters and docks for submarines) in Hainan Island. This vessel's ability to reach global targets while lurking in heavily defended coastal waters will significantly boost China's second strike capability (that is, the ability of a nuclear power to launch a retaliatory nuclear attack even after suffering a devastating conventional or nuclear attack). Previously, this tech was not considered very survivable, due to the combination of shortcomings in anti-submarine warfare technology, noisy nuclear propulsion technology, and insufficient range. China's improved submarine launched second strike capability is part of a boarder Chinese strategic modernization that includes early warning satellites, long-range missile defenses, stealth bombers, and heavy ICBMs. New Delhi: A Chinese Navy nuclear-powered attack submarine which docked at the Karachi harbor in May took aboard Pakistani naval officers and sailors to give them a first-hand glimpse of how the submarine works. This was not a simple case of access being given to a close military ally. On Friday, NDTV broadcast images of an advanced 'Shang' class nuclear submarine which was placed, through a satellite image, at Karachi last year. The images were first spotted by a satellite imagery expert (@rajfortyseven) who posts on Twitter. is part of the latest generation of nuclear attack submarines designed and commissioned by China. The submarine also has the ability to fire cruise missiles - including the Babur missile that Pakistan yesterday claimed to test-fire off its coast, a claim that has been disregarded by the Indian Navy. Pakistan's acquisition of a 'Shang' class submarine will have an impact on the naval balance in the Indian Ocean, which is currently skewed heavily in favor of the Indian Navy. India's navy is significantly larger and more capable than its regional rival. Unlike conventional diesel electric submarines that Pakistan has been operating for decades, a nuclear attack submarine has practically unlimited endurance. Its nuclear reactor is unlikely to require refueling during the life of the submarine, which means the 'Shang' can theoretically operate indefinitely under water. Even though realistically, it will be limited by the amount of food and supplies it can carry for its crew. The mechanical reliability of key systems also limits the submarine. The Pakistani acquisition of a 'Shang' class submarine is meant to counter the Indian Navy's 'Akula-2' class nuclear attack submarines which New Delhi has been leasing from Russia. Considered among the most powerful submarines of its class, the Akula-2 - named INS Chakra - has been leased for 10 years and will be returned to Russia within four years, by which time the Navy will have acquired a second submarine of the same class. The terms were recently worked out between the two countries. The Chinese 'Shang' class submarine, which docked in Karachi, entered the Indian Ocean through the Malacca straits off Singapore between April 19 and 20. Picked up almost immediately by the Indian Navy's US-made Boeing P8-I maritime surveillance aircraft, the submarine - accompanied by a large 10,000 ton fleet support and replenishment tanker - was constantly tracked on its way to Karachi. The P8-Is dropped sonobuoys across the projected route of the submarine. Sonobuoys - small listening devices that transmit the sound of submarines to reconnaissance aircraft operating overhead - are key to detecting submarines. Interspersed with the 'passive' sonobuoys deployed by the P8-Is, were 'active' sonobuoys which ping the ocean with sound waves reflecting off the submarine surface. Using a combination of both sensors, the Navy P8-Is were able to force the Chinese submarine into making evasive maneuvers. The exact location of the submarine was also passed on to India's own submarines, which were also monitoring the movement of the 'Shang'. The 'Shang' entered the Karachi harbor on May 19, its exact location constantly plotted by the Indian Navy's assets, which have determined that the sound radiated by the Shang class is higher than the considerably quieter new generation American or Russian submarines, which are tougher to detect. The 'Shang' and its support ship spent seven days in Karachi, leaving on May 26. It was during this period that Pakistani Navy sailors and officers were allowed access to one of the Chinese Navy's most sensitive assets. It's still unclear if the 'Shang' returned to Karachi to disembark the Pakistani Naval personnel or whether they were transferred to another vessel as the submarine proceeded south along the Indian peninsula before setting course for the Malacca straits. On June 14, the 'Shang' submarine exited the Indian Ocean region. Senior Navy officers have pointed out that the deployment of Chinese Navy submarines in the Indian Ocean coincides with active efforts to establish a ring of ports to strategically encircle India. On Sunday, the Maldives leased China an island for 50 years at just 3 million dollars. Pakistan and China, meanwhile, continue to work closely on developing the strategically located Gwadar port, central to the $46 billion China-Pacific Economic Corridor (CPEC) that is under development. China also continues to expand its naval base in Djibouti situated in the Horn of Africa. In August last year, Pakistan State Radio announced a deal to acquire eight Chinese conventional diesel-electric powered submarines and Bangladesh has just received two submarines for the first time from China. The Navy is getting ready to start a new competition for large underwater drones that can be linked together, providing the service an undersea network of communications equipment or sensors. During a briefing at the Surface Navy Association conference, Capt. Jon Rucker announced that the service plans to release a request for proposals for the Extra Large Unmanned Underwater Vehicle (XLUUV) program as soon as this month. The competition will include both vehicle design and construction. The Navy envisions the XLUUV as a modular, open architecture system that can be reconfigured with different payloads, according to a September request for information. The vehicle will be able to be launched pier-side without needing to be carried aboard a host ship, Rucker said. The XLUUV will differentiate itself from current submersible systems by its greater endurance and payload capacity, including the potential to perform offensive maneuvers while submerged underwater, he said. "There is a joint emerging operational need for certain capability in the near term to deliver some offensive capability. That's all I can say about that,” he said. "Other than that, the payloads are really going to be designed to be able to carry extra support, whether that's special warfare or undersea sensors. Eventually the goal is an undersea network of power or communications, which you can network out to extend our reach." businesses to large defense primes, have expressed interest in attending the event. The RFI laid out some preliminary specifications for the system. However, Rucker stressed that the Navy hopes to use industry feedback to further refine requirements and technical specifications ahead of the RFP release. If a particular requirement is not technologically achievable in the near term, it may be pared down. The government will chose up to two competitors for a 12 to 18 month design phase before down selecting to a single company, which will build the first five vehicles, he said. “We envision to have options in the contract to build additional vehicles if the Navy desires that capability, but the requirement to meet that urgent operational need is five [systems],” Rucker said. Companies have already begun to design large UUVs that may be able to meet the service's needs. For example, Boeing in March unveiled an unmanned submarine, the 51-foot long Echo Voyager, which can stay underwater conducting missions for months at a time. Submarine builder Electric Boat would be able to meet the expectations of an ambitious U.S. Navy shipbuilding plan, given the time and resources, company president Jeffrey Geiger said Monday. The USS Clamagore at her current anchorage in South Carolina. A Cold War-era submarine on display at a maritime museum in South Carolina could be sent to the bottom of the sea about a mile off the coast of Palm Beach County. The USS Clamagore, a designated historic landmark built during the last months of World War II, is one of three vessels featured at the Patriots Point Naval & Maritime Museum on Charleston Harbor. But museum officials say it's not cost effective to keep the aging sub as an attraction. Restoring the boat is estimated to cost $6 million, and annual upkeep runs about $250,000, said Chris Hauff, a museum spokesman. "The cost of maintaining these 70-year-old warships floating in salt water in Charleston Harbor can be very high," he said. "We have exhausted all other options as far as finding a new home for it." Palm Beach County is interested in sinking the sub off Juno Beach as part of its artificial reef program — perhaps as early as this summer. The boat would sink in about 75 feet of water, and the county's plan calls for removing some of the submarine's paneling so divers could see the inside of the boat. County officials also hope to create a museum on land that showcases the ship's history and artifacts. Commissioned in June 1945, the Clamagore didn't see action in World War II, but it served during the Cold War. Its service history included a stint patrolling the Caribbean during the Cuban Missile Crisis in 1962, according to materials submitted to the U.S. Department of the Interior. The U.S. Navy retired the Clamagore from service in 1975, and it opened to the public at Patriots Point in 1981. The sub would make a striking addition to Palm Beach County's network of artificial reefs, likely becoming the first submarine in South Florida to serve as a diving attraction, said Dan Bates, deputy director of environmental resources management. "It would be a very unique dive site, especially with the way we are looking at presenting it," Bates said. "This is a great way to preserve the vessel rather than seeing it scrapped." The county learned about the vessel through Artificial Reefs International, a Florida-based company that marketed it. Palm Beach County commissioners will consider Jan. 10 using $1 million in registration fees paid by boat owners to jump-start the project. Bates estimates the total cost of cleaning, transporting and sinking the sub will be four times that amount. Those funds could come from sponsorships, donations and grants, he said. The U.S. Navy also would have to authorize the sinking, Bates said. About 45 ships have been sunk as part of Palm Beach County's artificial reef program. Most recently in July, the county sunk the Ana Cecilia, a 170-foot cargo ship that was seized by the federal government during a drug investigation. Tom Lufkin, chairman of the Clamagore Restoration and Maintenance Association, said many veterans who served on the Clamagore and other submarines don't want to see the boat scuttled. "We are very actively trying to save the boat," he said. "She is the last of her kind. There are no more like her." Lufkin said the boat could be preserved for considerably less if it were moved to land. His group has raised $40,000 toward preserving the boat. The museum tried for about five years to save the vessel through donations or a sale, but those efforts were unsuccessful, Hauff said. Patriots Point museum, a state agency that receives no tax dollars, wants to focus its efforts on maintaining an aircraft carrier, the USS Yorktown, and a destroyer, the USS Laffey, Hauff said. About 280,000 visitors tour the museum annually, he said. Hauff said turning the Clamagore into an underwater memorial would be a fitting tribute to the men who served on it. He said he's glad Palm Beach County is interested. "The last resort is for it to become scrap metal," Hauff said. "Nobody wanted to see that." While a return to 20,000-plus operationally deployed strategic nuclear weapons is not desirable, over the past decade America’s adversaries have replaced aging delivery vehicles and warheads, giving Russia, China, and North Korea capabilities they did not have a decade ago. The arms race has started without us. The Strategic Rocket Forces are fielding a number of new intercontinental ballistic missiles as Russia seeks to replace Cold War weapons. Russia is currently replacing its remaining SS-18 and SS-19 Mod 3 intercontinental ballistic missiles (ICBMs) — which were designed and deployed about the same time as American Minuteman III ICBMs — with SS-27 Topol-M and SS-29 Yars-M ICBMs designed in the 1990s and 2000s. These new ICBMs are silo-based and road- or rail-mobile. Locating and targeting mobile ICBMs is particularly difficult for American targeteers. By 2020, the Russians will field the RS-28 Sarmat, which is often called the “country killer” because it can hold 15 thermonuclear reentry vehicles and is equipped with defensive countermeasures to defeat ballistic missile defenses. The Russians are also fielding a new class of ballistic missile submarine as a replacement for its fleet of Cold War-era Delta IV submarines. The new Borei class is the quietest Russian submarine produced and can carry up to 16 of the new SS-NX-30 Bulava submarine-launched ballistic missiles (SLBM). With the first Borei-class submarine having entered service in 2009, a total of eight are expected by 2020. Russia is also modernizing its fleet of Tu-95 Bear-H and Tu-160 Blackjack bombers while it designs and fields a new stealth bomber. The Russians are fielding a new nuclear air-launched cruise missile (ALCM), the Kh-102. The Kh-102 can be launched from bombers while still in Russian airspace and reach the continental United States; radar may not even see these weapons before they enter American airspace. Russia is also making significant advances in warhead design, which is important as both the United States and Russia are growing increasingly concerned that the other side could destroy incoming warheads through defensive measures. Ensuring warheads detonate, and at the desired yield, when and where they are supposed to do so has been a focus of Russian designers in recent years. With open source information limited, it still appears Russia is making strides in these areas. China’s nuclear deterrent is primarily found in its ballistic missiles. The DF-5 (CSS-4) is a liquid-fueled rocked first deployed in the mid-1980s. This ICBM was designed to strike the United States with a single large-yield warhead because of its limited accuracy. As part of its modernization effort, the DF-5 is being replaced by the DF-41, a solid-fueled ICBM, which has a considerably improved accuracy and response time. China also fields the DF-31 (CSS-9), a solid-fueled ICBM first deployed in 2006. A recent upgraded to a DF-31A variant gives China the ability to reach the United States with this ICBM’s three warheads. An additional variant is the DF-31B—a road mobile weapon. The Chinese are also building toward their own nuclear triad by establishing a continuous at-sea deterrent with the Jin-class ballistic missile submarine, first commissioned in 2010 with a total of five expected. Described in open sources as noisy enough to be detected and tracked by the US Navy, it is an inferior submarine, but still a step forward. The Jin will carry up to twelve JL-2 (CSS-NX-4) ballistic missiles, which have a range of approximately 5,000 miles. China also fielded the H-6K bomber in 2009—a modernized variant of the Soviet-era H-6 bomber—which can carry the CJ-10K cruise missile. Although it is believed that the CJ-10K is conventional only, China could field a nuclear variant. With China seeking regional dominance in Asia, the H6-K’s 2,200 mile range provides ample distance to hold targets in the region at risk. While North Korea has demonstrated the ability to produce a nuclear device and has an active ballistic missile program, it is not clear that it can deliver its nuclear warheads atop a KN-08 road mobile ICBM. Currently, there is no open source evidence to suggest that North Korea has attempted to mate a nuclear warhead with any of its ballistic missiles. However, it is unlikely that North Korean scientists and engineers will fail to overcome existing challenges given Kim Jung-Un’s focus on nuclear weapons. In short, our adversaries are improving their own nuclear capabilities. It is time we do the same. Visit of 2 Russian warships to the Philippines underscores challenge to U.S. influence. BEIJING--A Chinese attack submarine made an unprecedented stopover in Malaysia this week in a rare public display of China’s expanding undersea force and a further sign of power realignment in Southeast Asia. The visit came as two Russian warships docked in the Philippines—a U.S. treaty ally—and Moscow offered to sell Manila advanced weaponry in another challenge to longstanding U.S. military relations in the region. The submarine and a Chinese navy support ship arrived in Kota Kinabalu, site of a naval base facing the South China Sea, on Tuesday and will stay until Saturday, a Malaysian naval official told The Wall Street Journal. The official said that it was the first time a Chinese submarine had visited Malaysia and that the two vessels came for rest and recreation. China’s Defense Ministry didn’t respond to a request for comment. The last confirmed port visit by a Chinese submarine was to Sri Lanka in 2014, although satellite images suggest some visited Pakistan in the past two years. The Chinese and Russian naval forays into Southeast Asia reflect a reorientation of defense ties in the region—and beyond—as Beijing and Moscow seek to reshape a global security architecture that has been dominated by the U.S. for decades. Malaysia and the Philippines are among several governments that contest China’s claims to most of the South China Sea and have bolstered defense ties with the U.S. in recent years in response to Beijing’s efforts to enforce its claims. Chinese naval ships have docked in Malaysia before. But a visit by a submarine is qualitatively different, said Euan Graham, Director of the International Security Program at the Lowy Institute in Sydney. submarine operations, as stealthy war-fighting or reconnaissance platforms,” he said. The visit signaled that Chinese submarines could operate with Malaysia’s approval in the southern extremes of the South China Sea, including around the disputed Spratly Islands, he added. The Kota Kinabalu base houses Malaysia’s two French-built Scorpène-class submarines. U.S. Navy ships and submarines have used the base, along with facilities in the Philippines, as staging posts for operations in the South China Sea. But since an international tribunal ruled in July that most of Beijing’s claims in the area were illegal, China has been forging closer relations with some claimants, especially the Philippines and Malaysia. Malaysian Prime Minister Najib Razak agreed on a visit to Beijing in November to expand economic and defense ties with China. Around the same time, Malaysia agreed to buy four coastal patrol ships from China. On Friday, Mr. Duterte toured a Russian anti-submarine ship, one of the navy vessels Moscow has sent to Manila on a three-day visit. Earlier this week, the head of the Russian naval contingent proposed joint exercises with the Philippines and the Russian ambassador offered to supply Manila with sophisticated military hardware, including submarines. While China and Russia have a common interest in undermining U.S. defense ties, they also increasingly compete to find new markets for arms exports. Russia has sold submarines to Vietnam; China has sold them to Bangladesh, Myanmar and Pakistan. “Russia’s primary interest in Asia is arms sales, and Duterte’s move away from the U.S. gives Moscow access to a market that hitherto was effectively closed to it,” said Ian Storey, an expert on regional security at the Institute of Southeast Asian Studies in Singapore. The Malaysian navy official identified the visiting submarine as the Chang Cheng and the support vessel as the Chang Xing Dao but declined to provide further details. The submarine’s name suggests it was a conventionally powered diesel-electric attack submarine. The Malaysian navy published photographs of the two visiting vessels on its official Twitter account but the name and number of the submarine weren’t visible. The growing importance of undersea warfare in the South China Sea was demonstrated last month by a standoff between Beijing and Washington over a U.S. Navy undersea drone that was seized and held by a Chinese naval ship for five days. China has one of the world’s largest fleets of nuclear and conventionally powered submarines and in recent years has sent them far into the Pacific and Indian Oceans. It is soon expected to launch its first patrols by submarines carrying fully armed nuclear missiles, most likely in the South China Sea, U.S. officials say.